During DCT the tools and components are being placed in a chamber. The computer controlled process will start (= Time-Temperature-Curve). After 15 hours we can take out the parts from the chamber. The process is completed. With our confidential process we slowly reduce the temperature down to -180°C – this takes a few hours. 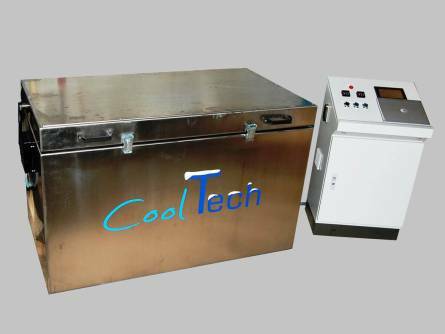 Afterwards the components will be heated up and cooled down again several times – all within the negative temperatures. This we call “multi stage treatment”. After several hours we slowly increase the temperature to slightly above room temperature – the process is finished. The components will absolutely not get in contact with liquid Nitrogen; so a thermal shock is definitely impossible.